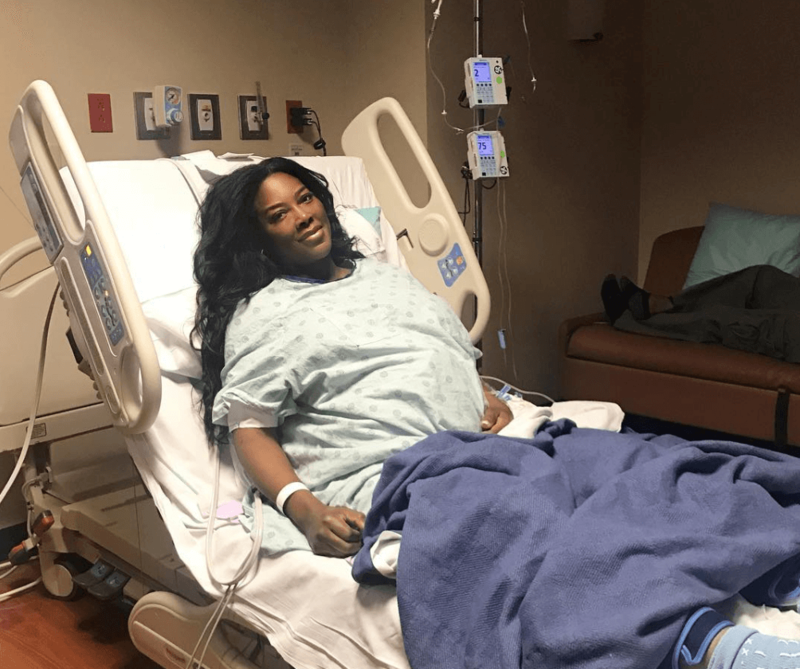 Kenya Moore Gives Birth On Day of 'RHOA' Season 11 Premiere! Very Calculated! Kenya Moore Schedules Birth of Her Baby On ‘RHOA’ Season 11 Premiere! According to People Kenya Moore is a mom! On the same day of The Real Housewives of Atlanta season 11 premiere — Kenya gives birth to daughter, Brooklyn Doris Daly, at 9:39 a.m. ET, on Sunday, Nov. 4. The baby girl weighs 5 lbs. and 12 oz. Preeclampsia develops suddenly in women who previously had normal blood pressure after the 20-week pregnancy mark. Left untreated, preeclampsia can have fatal consequences. The most effective form of treatment is emergency c-section — something Kenya said she was considering but decided to wait 8 days to give birth. Critics have been raising eyebrows since the 47-year-old announced her pregnancy bombshell during The Real Housewives of Atlanta season 10 reunion in April, shocking the cast. She later debunked rumors of a surrogate. According to Kenya the father is excited about fatherhood, despite already being a dad to few kids of his own. Unfortunately for Kenya Moore, the birth of her baby will not be filmed for season 11 of the Bravo reality series, after the network fired her. Share your thoughts on the calculated timing of the birth of Kenya Moore’s baby. Sound off in the comments below!